If you don’t already know, I am a crazy Craigslist lady. I have so much love and pride for all of my Craigslist finds, and each one has it’s own story. Most recently I found a gorgeous chinoiserie bookshelf (I shared this with my Snapchat fam) for $50, and a vintage persian rug for $150. After years of trial and error, I think I’ve mastered the method to the madness. 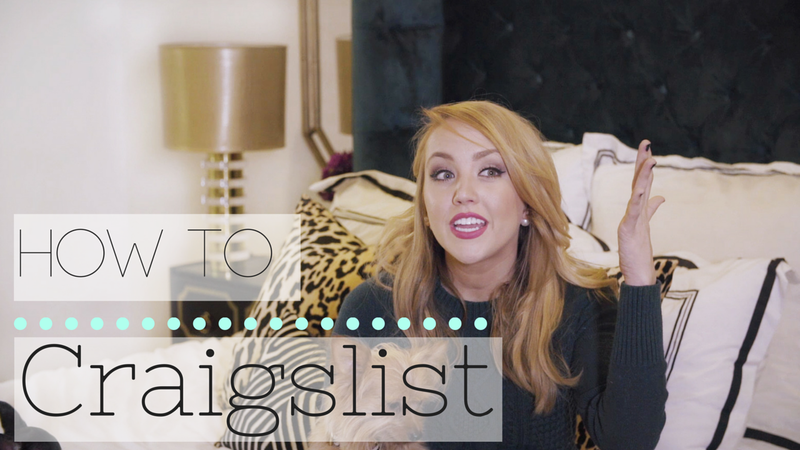 There certainly are some tips that will save you time, energy and money when it comes to scoring good Craigslist deals, and I’m sharing them today on my YouTube channel! If you would like to see more videos like this one, please subscribe to my channel!